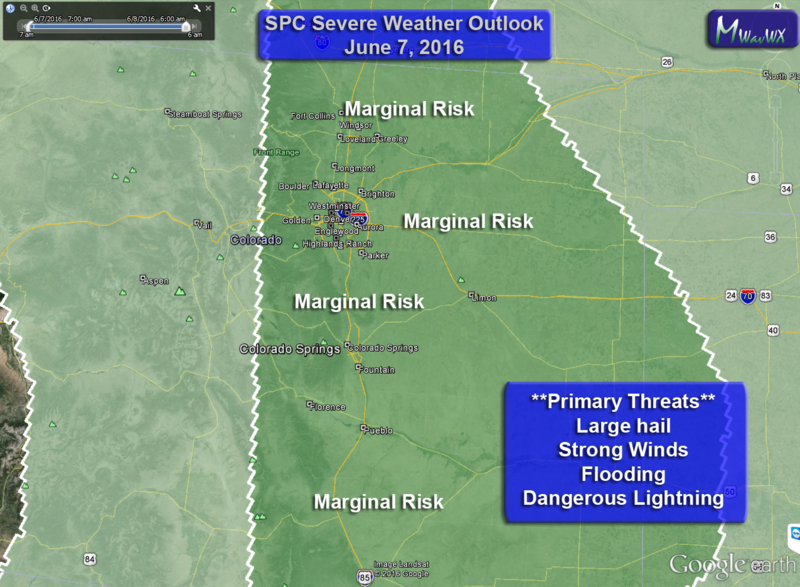 The Storm Prediction Center has issued an outlook including the front range of Colorado with a Marginal risk of severe weather today. The setup today is very similar to yesterday with a high pressure ridge (usually meaning good weather) being undercut by a weak low level trough moving through from the West. Steering winds aloft are weak today, just as they were yesterday. 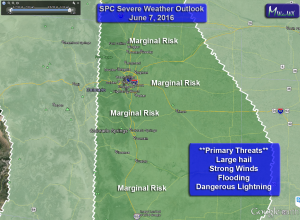 This means storms may park over an area and dump large amounts of rain. Stay tuned with us here or wherever your favorite, reliable weather source is through the day for weather and forecast updates. Is castle rock getting anything? Mild or severe? Nothing at the moment, the big scary storm most folks are seeing right now is well South of town and moving towards Colorado Springs.